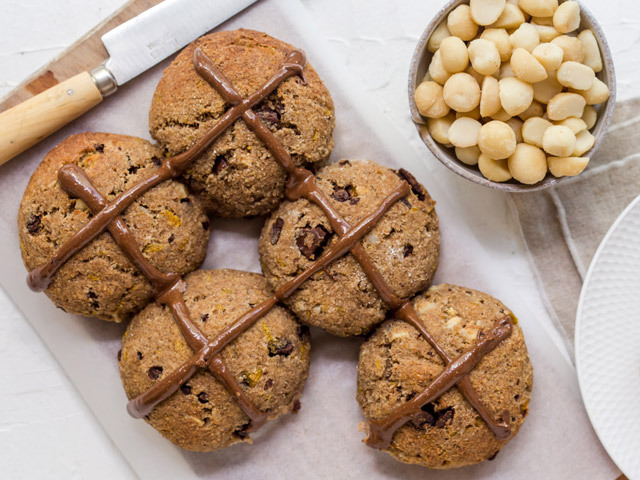 Low carb macadamia hot cross buns are gluten free, grain free/paleo friendly, dairy free and low carb. These are sure to win over even the fussiest friend or relative this Easter long weekend. Pre-heat oven to 180'C. Line a baking tray. Allow to completely cool. Once buns are cool, melt dark chocolate with macadamia nut butter. Spoon into a piping bag and make crosses on top of buns.